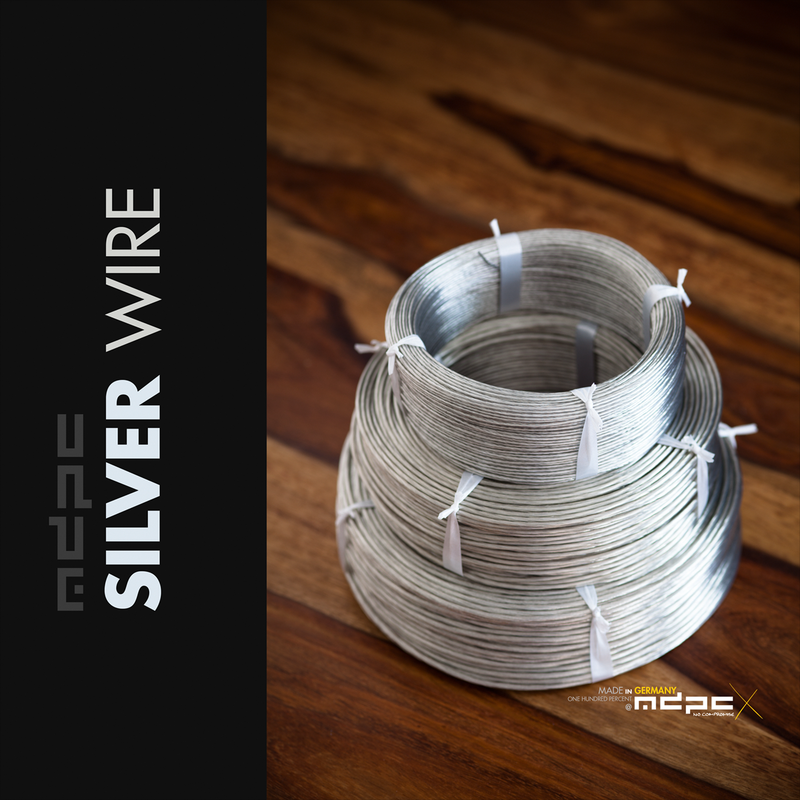 UPDATE (18th March 2018): We now added our latest hookup wire color: Transparent / Silver hookup wire is an absolute beauty. It can be used stand alone as a unique design highlight or of course as a base for MDPC-X sleeved cables, sharing the same color support properties as the grey hookup wire would give to you. UPDATE (18th December 2017): We now added our latest hookup wire color: Grey hookup wire is perfect to keep the intensity of all medium and light cable sleeving colors at a totally neutral level, just between the subtle differences which Black or C-White wire create when used as the base for cable sleeving. 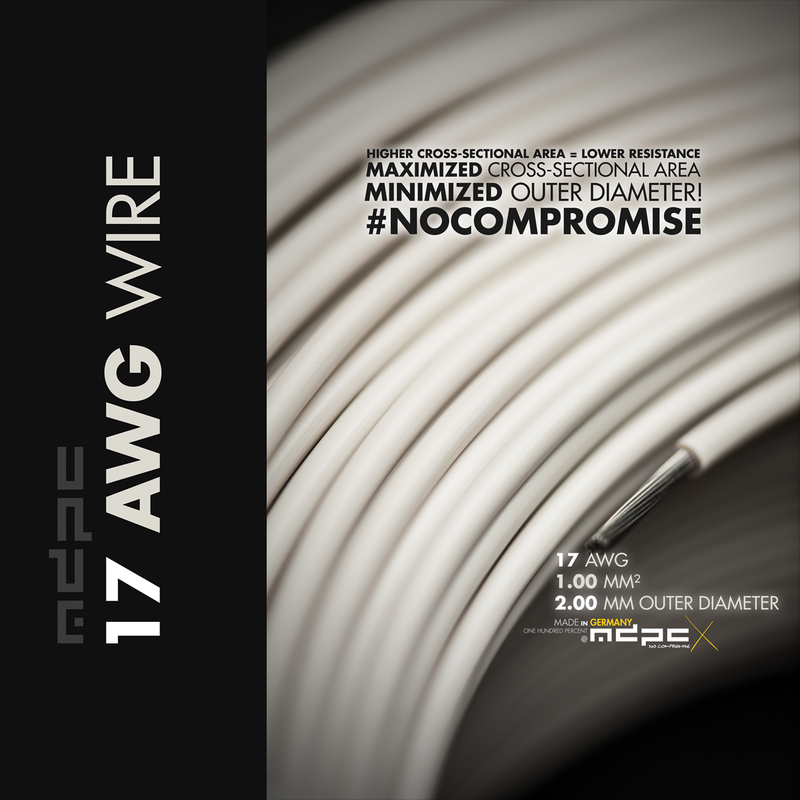 To celebrate our 10th anniversary of MDPC-X, we have finally decided to also provide to you our vision of the ideal stranded hook-up wire for custom cables and of course for our cable sleeving - 100% made in Germany. 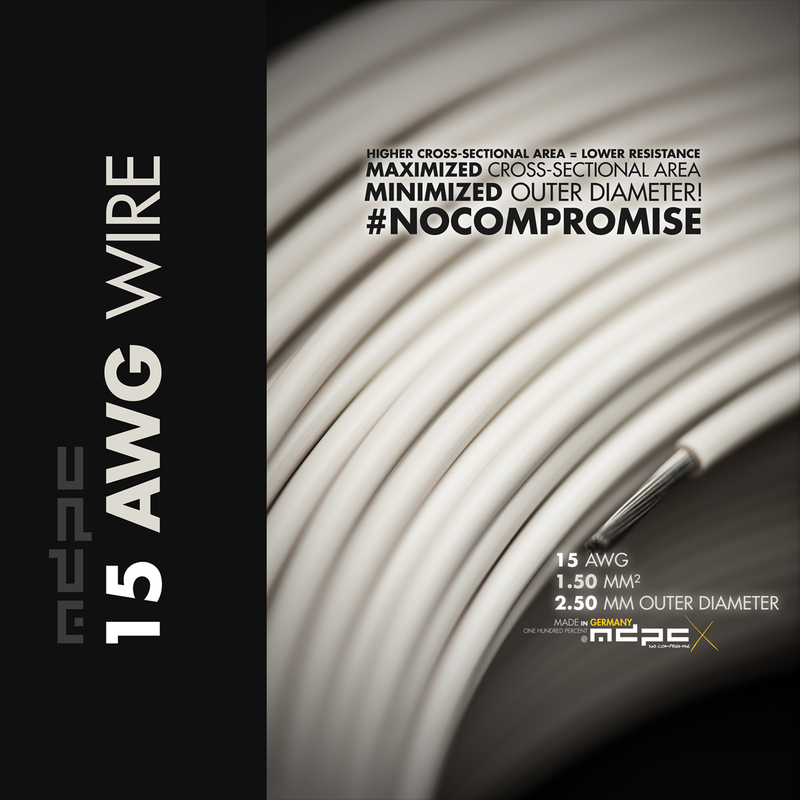 Why did MDPC-X wait 10 years to offer hook-up wire? Our core business is cable sleeving, we never wanted to just resell existing things. In the last 10 years we have pointed the many customers who asked us to the distributors and shops, but the confusion about which wires to choose etc. seems to be too big and quality changing too often. It made no sense for us to provide regular wire to you, because you can already buy it at hundreds or thousands of places. 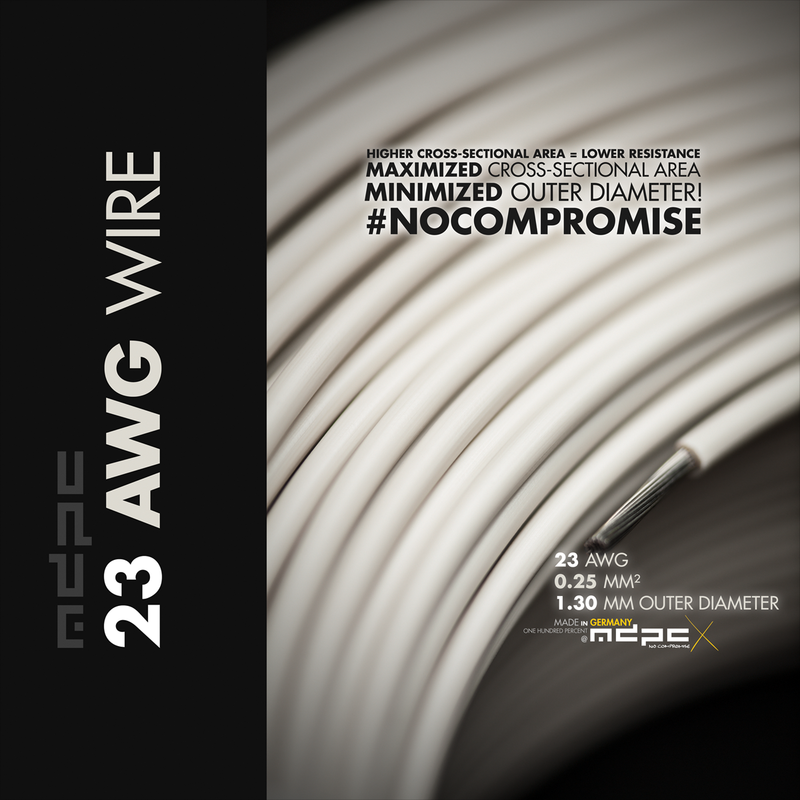 Offering wire now is an absolute no compromise approach for us, as always. We did not look for cost efficiency or whatever companies think is needed to be competetive on pricing etc., why should we offer what you can buy everywhere else too? We go a completely different route by offering a class of its own in the world of hook-up wires, not exceedable for the purpose it is aimed for: Custom cable manufacturing in the PC market and custom sleeved cables with MDPC-X. There is a simple rule in electricity: Higher cross-sectional area = lower resistance. There is another good reason not to be forgotten: The higher the cross-sectional area, the lower the temperature increase of the wire under high electrical load. For cable sleeving, the outer diameter of the wire plays a major role for the end-result. The same aspects are also important for crimping your own cables and also for specific connections and connectors. So what did we do? We maxed out the extremes. We maximized the cross-sectional area, while we minimized the outer diameter of the wire. Basically you can now use at least one higher wire gauge size (cross-sectional area), while keeping the same outer diameter which good "regular" wires have. Remember the rule: Higher cross-sectional area = lower resistance. 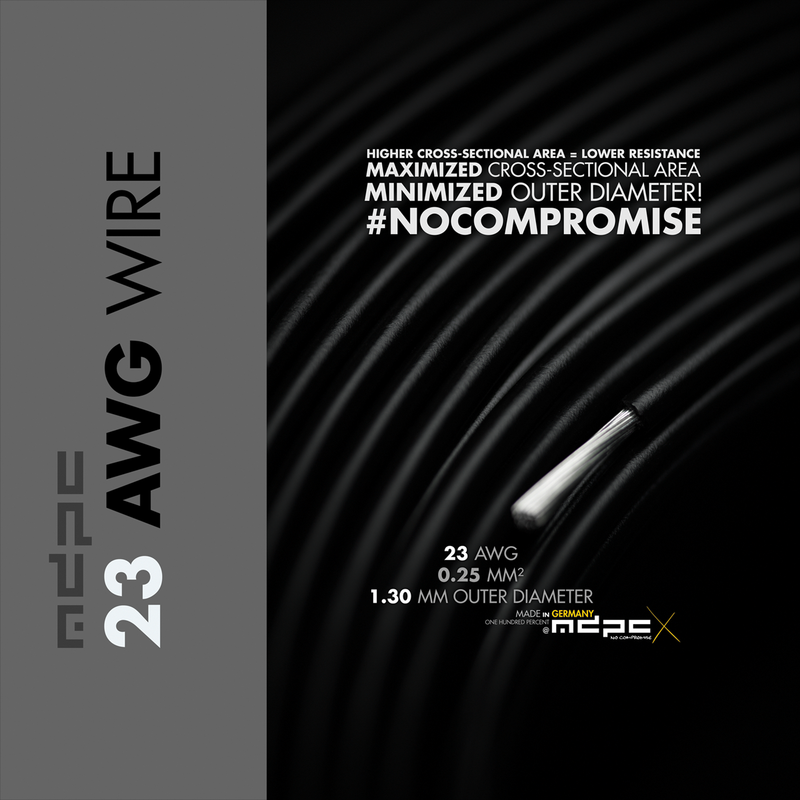 Of course there are other advantages for you too: Due to the higher cross-sectional area and lower insulation thickness, the shaping property of the wire is logically better to control. 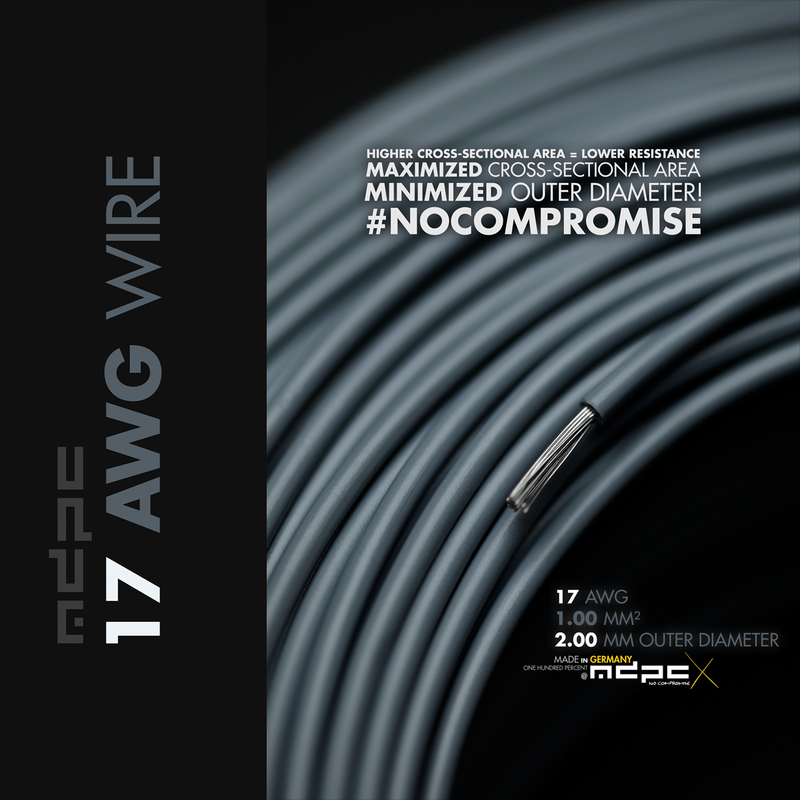 Combined with the legendary rigidity of MDPC-X cable sleeving ... well, I guess you can imagine what it's like: Maximum shape control. Stripping the insulation is an absolute dream, compared to many standard hook-up wires, which behave like very old chewing gum when stripping. Of course the hook-up wire is 100% copper with tinned strands and no printing on the insulation. There is no variation of insulation thickness (OD), as you often find in China products or budget wire. This is just a class of its own, no compromise, no flaws, no second best or less. 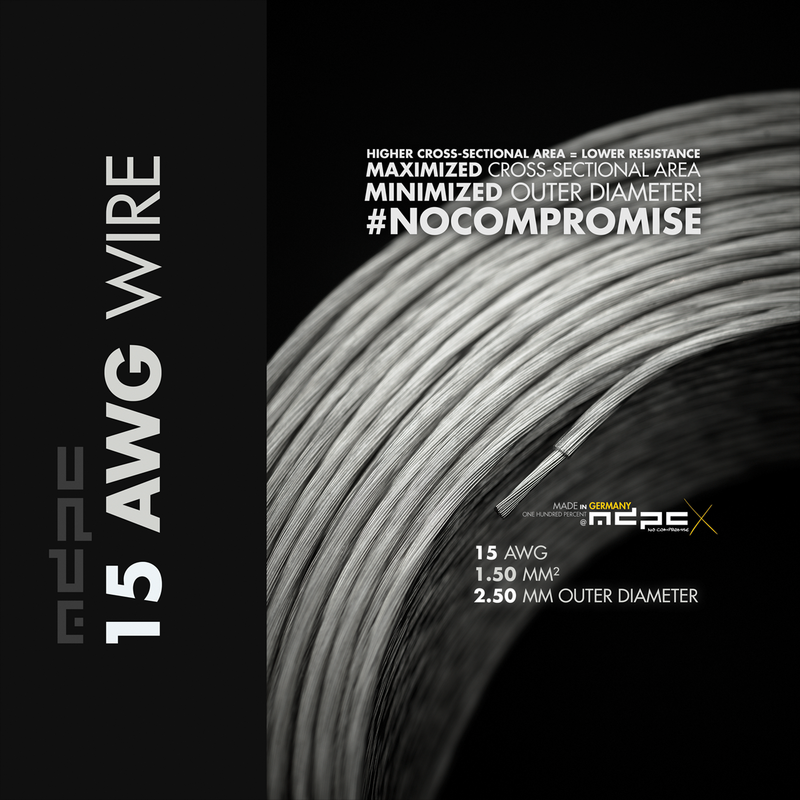 15 AWG hook-up wire (1.50 mm²) with an outer diameter of 2.50 mm. 17 AWG hook-up wire (1.00 mm²) with an outer diameter of 2.00 mm. 23 AWG hook-up wire (0.25 mm²) with an outer diameter of 1.30 mm. All sizes are available as 10 meter (33 ft) packages or 100 meter (330 ft) packages. Perfectly coiled without being on a spool, with large inner diameter to prevent spiral shaping as best as possible.